Amish Made Rabbit Pen with Nest 24" x 24"
The Amish made Rabbit Pen with Nest is built to keep your pet rabbit comfy and cozy. This rabbit pen features a pull out tray for easy cleaning. Cute roof with a side pocket your rabbit can nestle in. Have a rabbit pen built for your pet today! 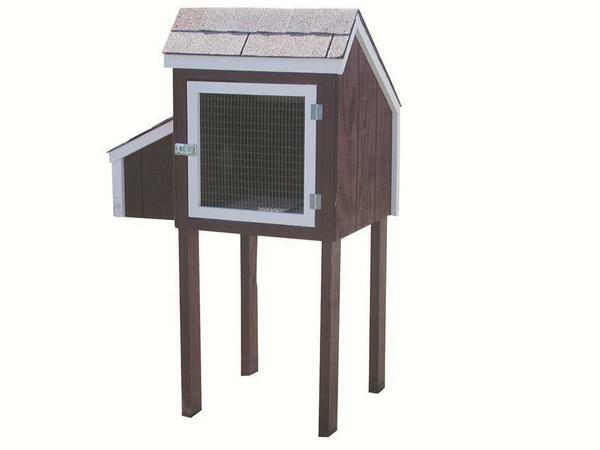 (Item 43001) Amish Made Rabbit Pen with Nest 24" x 24"